This season was a breakout year for the 67’s winger. During his rookie campaign, Clark had lower production with 11 points (7G, 4G). However, Kody showed flashes of his offensive talent with goals like this where he made the other team look silly. Clark came into the 2017-18 season ready to take the next step and prove to NHL scouts why they should be calling his name come draft day. He got off to a hot start to the year averaging nearly a point per game through the first 20. During that span of games he also had a stretch of games where he scored the overtime winner in three consecutive contests. The first of these three goals came against a the team that would go on to have one of the most dominant OHL regular seasons ever. Clark stole the puck at the opposing blue line walked in alone and made no mistake. 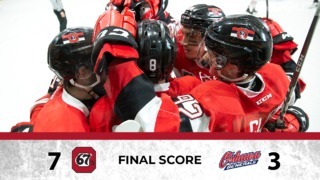 The following game the 67’s returned home and Kody stepped up once again, showing patience to get around the defender before ending the game. One day later, Clark once again called his own number and for the third game in a row stepped up and ended the game in overtime. It took Kody only 15 games to surpass his point total from the year before. 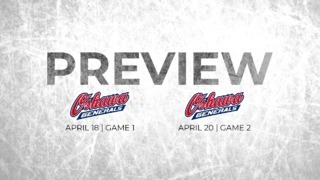 His jump in play and production was turning heads and he earned a spot in the CHL/NHL Top Prospects game. Introducing the next wave of #NHLDraft talent. Unfortunately, Kody would receive an injury prior to the game and be unable to participate. 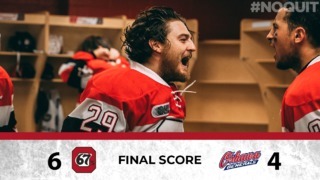 The injury kept Kody out of the lineup but he returned shortly before the 67’s outdoor game and scored the team’s only goal in the game with a beautiful snap shot coming from the slot. Clark finished the year with nearly four times the points from the season with 39 points (18 goals, 21 assists). Throughout the season he bounced around the Top 40 North American skaters in the NHL Central Scouting rankings and was ranked as the 34th overall skater in the final report this April, the second highest 67. Clark will be a good addition for any team that picks him during the draft. He’s an asset to have in the offensive zone and will only get better next season.